The film's title derives from the Russian phrase "belaya vorona", or "white crow", meaning an outsider or nonconformist, a person who stands out from his or her contemporaries in the way that a white crow would stand out from its black fellows. 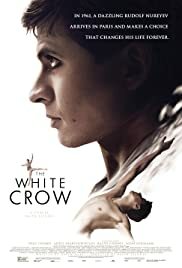 The "white crow" of this film is the Russian ballet dancer Rudolf Nureyev, a man who had difficulty conforming to the official Soviet system, either in his artistic life or in his personal life. (He was gay at a time when this was neither lawful nor acceptable in Soviet society). 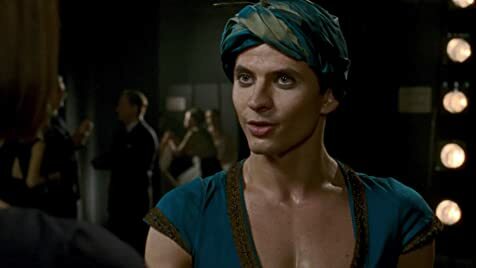 Nureyev shocked the world of ballet when he defected to the West at Le Bourget airport, Paris, in 1961, and the film is built around this incident. His decision to defect was, apparently, a spontaneous one, taken when the Communist authorities, irritated by the fact that he had spent much of his time in Paris in the company of Western intellectuals and concerned by rumours that he had been seen in a gay bar, decided to send him back to Russia rather than allowing him to travel with the Kirov ballet to London, the next leg of their tour. Scenes of Nureyev's stay in Paris are intercut with flashbacks to his poverty-stricken wartime childhood in the provincial city of Ufa and to his time as a ballet student in Leningrad, as St Petersburg was then known. The film was directed by the well-known British actor Ralph Fiennes, clearly a ballet enthusiast. Fiennes also takes an acting role as Alexander Pushkin- not, of course, the classic Russian author but Nureyev's tutor at the Kirov Ballet. This was, I felt, one of two outstanding performances in the film. Pushkin emerges not only as a visionary who spotted Nureyev's talent when many did not but also as a sympathetic father-figure who provided the young dancer with a kindness and understanding that was otherwise lacking in the rigid, inflexible Soviet system. The other great performance, of course, comes from the young Oleg Ivenko as the conflicted Nureyev himself. On the one hand he is held by a love of his Russian homeland, the land which contains all he knows and all that he has held dear- his family, his friends and his mentor Pushkin. On the other hand, he is drawn towards the West, not only because of the greater intellectual freedom which it offers but also because of a feeling that it is only there that he can fully realise himself as a dancer.